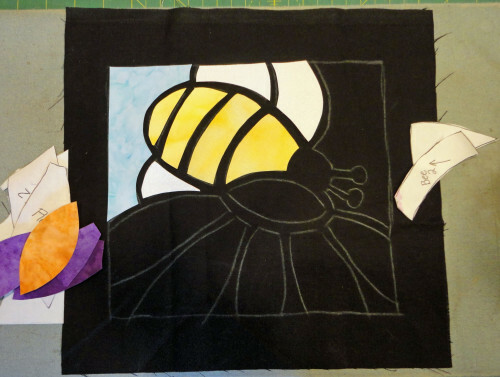 I’ve had lots of requests for information on the way I make the stained glass quilts, so….. I have added a page to the website to make the instructions easy to find. Find them here: Stained Glass Technique Your feedback is always appreciated! Your method of stained glass piecing is extremely easy compared to a class I took in 2006 where I had to apply the black contrast piping with glue. 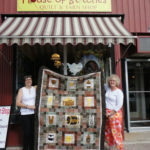 I look forward to taking the Popping Poppies class in May at my Erie Shores Quilting Guild in Kingsville. Franny, I’m glad you enjoyed trying this technique. I plan to make the 3D flowers as easy and fun in May! I would really be interested in taking a landscape stained glass technique class from you. When will you next be giving one at you store? Leave a Reply to Janey Click here to cancel reply.